On September 18, Crievewood hosted the Tennessee Baptist Convention Church Library Training for Middle Tennessee. There were church librarians from all over the area at our church learning the latest and greatest things related to Church Libraries. The conferences have a new face this year, Doug Eaton, who will also be conducting classes at other Library Training events. In his morning session we learned what dinosaurs in the AV closet might need to be thrown out, and what just may get used down the road. Thanks to his insights, we are cleaning out those shelves in the work room! Doug also taught a session on how to make your library display go digital, as you may have noticed the current one in the Library window did a few weeks ago! We have a list of ideas to use these practices in the future, too … so be on the lookout! There were about 70 Church Library workers at Crievewood that day, and we heard nothing but good things about the conference! A huge thank you to Anita and her staff who kept us fed for the day (and very well!) and to Sam for being the AV man on sight, and to Wes and the custodial staff for getting us all set up – the Library staff appreciates you all! With the end of summer comes the end of the “Books Can Take You Anywhere!” Summer Reading Program. It was a huge success!! We had a total of 12 readers who earned a total of 320 miles on their trip! Way to go!! The top readers in the preschool and children’s division were Cade Myatt and Hannah Hitchcock, respectively. New books were placed in the library in their honor! In September Crievewood will be hosting the TBC Church Librarians Convention, so we are gearing up for that. One focus of the Convention will be using technology in the Church Library (a conference led by our own Doug Eaton). As part of this focus we have just added a little technology to our display window – you will have to stop by and check it out! Books Can Take You Anywhere! Join us in the church library this summer for a reading road trip. All children birth through sixth grade are invited to participate. Stop by the church library on June 13 to sign up, choose a car (which will be yours to keep), and begin a fun journey. You will earn “reading miles” for every book you read. Preschoolers may earn miles for books read to them. Don’t miss this fun trip! Thank you for participating in the church library’s 15-minute challenge. We trust that reading from Christian literature for 15 minutes a day made your preparation for Easter more meaningful. Now that the official challenge is over, please don’t stop reading. There are other wonderful titles in the church library just waiting for you or your children. If you are a teacher, there are Bible study helps. If you are a parent, there are parenting books. There are titles for making your marriage stronger or helping you manage your time and money. And there are titles just for fun reading! This book is not just for florists! 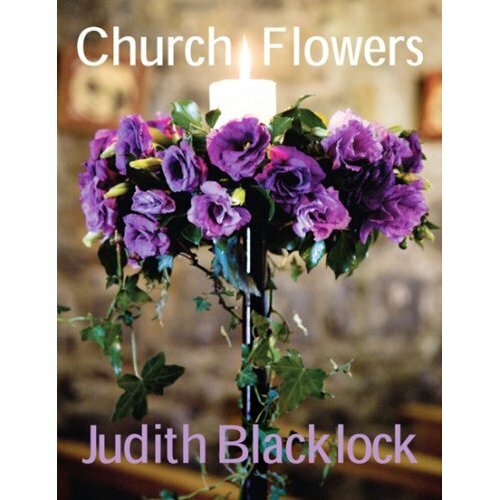 Judith Blacklock is the author of 9 bestselling books and has taught and arranged flowers worldwide. This full color book is filled with many flower arranging tips and ideas and magnificent pictures. Many of the arrangements are accompanied by a list of flowers used and descriptions of the mechanics. Come by and take a look! As a way to connect with Library users, and hopefully introduce some new ones, we have created a blog. We will keep this blog up to date with new additions to the library, promotions we are having, and other library news. You can access this page by going directly to cbcmediacenter.wordpress.com or through the link on Crievewood’s Website. You can also subscribe on the right hand side of this page to receive an email each time a new post is put up. That you will know all the CBC Media Center Breaking News! !